Find some local hiking trails in the area. Perhaps they have a gorgeous view at the top of a mountain, or they are near a rushing river. Or they are just a nice walk in the woods. It is a good chance for the two of you to enjoy each other's company or get to know each other if it is a first date. At the end of the hike you will feel relaxed and energized and closer than ever. Who is this for? For couples who love the woods. If you need to get away for some definite alone time, then camping is the way to go. You can enjoy an intimate night in the woods and without technology to get in the way the two of you can just enjoy each other. It is a great time for cuddling and talking and getting intimate. If roughing it does not appeal to you then you can always rent a yurt or a luxury tent so you can still enjoy the seclusion of the woods without feeling uncomfortable. Who is this for? Couples who want to be alone together for a night. Bring a thermos of tea or hot chocolate with your telescope and set up on a clear night when you can see the stars. The two of you will have a lot of fun looking at stars, constellations and planets. And if it is a little chilly, it's a good time to get some cuddling in. If you like the snow and the cold, then snowshoeing will be a lot of fun for the both of you. You can snowshoe on plenty of walking trails and you will have a lot of fun tripping over your snowshoes and laughing at each other. It is especially a treat if you have never snowshoed before, or at least not since middle school gym class. Who is this for? For couples who love snow and winter. Find a lake, pond, or beach somewhere and go swimming. A lot of the time you can find one that has no entry fee or parking fee and you can enjoy being in the middle of nature while swimming and exploring the underwater world before you. Who is this for? Couples who love water. A picnic is a nice and simple way to spend an afternoon. 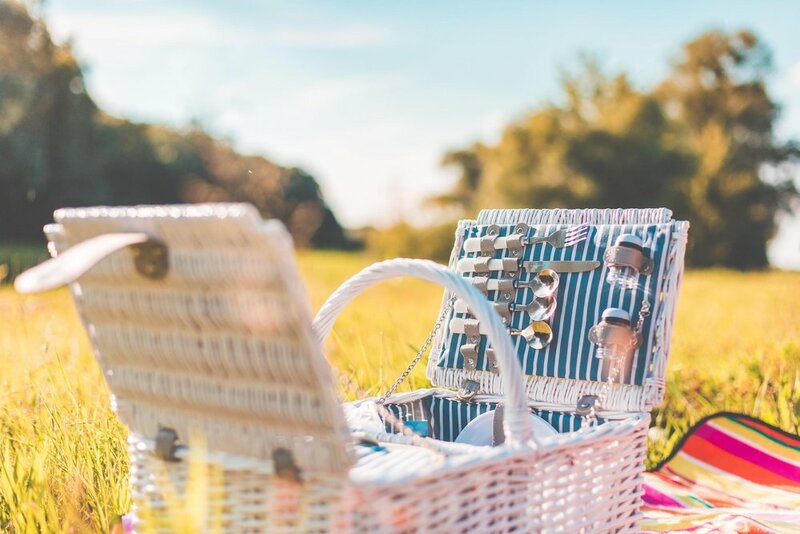 Whether you spread out a blanket on the ground with food you prepared yourself, or you take takeout to a nearby picnic table, it is a fun way to spend the afternoon and is a good way for the two of you to get some quality time in. Who is this for? Couples who love being outside and not in a restaurant. If you like the water but you do not want to get wet, then rent a canoe for few hours. You can still enjoy the beautiful scenery in the lake and each other's company. Who is this for? Couples who know how to steer a canoe. If the two of you are very adventurous and not afraid of heights, then this is definitely a memorable date to have. If you are a daredevil, you will certainly enjoy the rush of adrenaline you will get from this daring feat and you will definitely remember it for the rest of your life. Who is this for? Couples who love an adrenaline rush. Less daring than skydiving, but a bit more intense than canoeing, whitewater rafting is a lot of fun. Be prepared to get wet and even possibly fall in, but you will definitely get an adrenaline rush and have a lot of fun doing it. Who is this for? People who love water and an adrenaline rush. If you are not afraid of heights, then rockclimbing can be a really fun way to spend an afternoon or a day together. It often requires a lot of trust between the two of you, but if you like the challenge then this is the one for you. You will have a tiring, but satisfying date by rockclimbing. Who is this for? Couples who love heights, challenges, and trust each other. Paul Turner, the man behind TakeOutdoors, provides insights of camping and gear guides for the outdoor enthusiasts. He’s written a comprehensive guide to camping for beginners. Head to the blog to get up to speed with other campers!